Spread-X is undergoing some changes. Please note that we are still continuing our organic certified compost production. Please contact the office either by email info@spreadx.ca or phone 613-524-2626 to place your order for the upcoming season. Stock is limited. In a few months, composting can replenish the soil in a way that might otherwise take years. Compost is made by the controlled decay of organic materials for use as fertilizer and soil amendment. 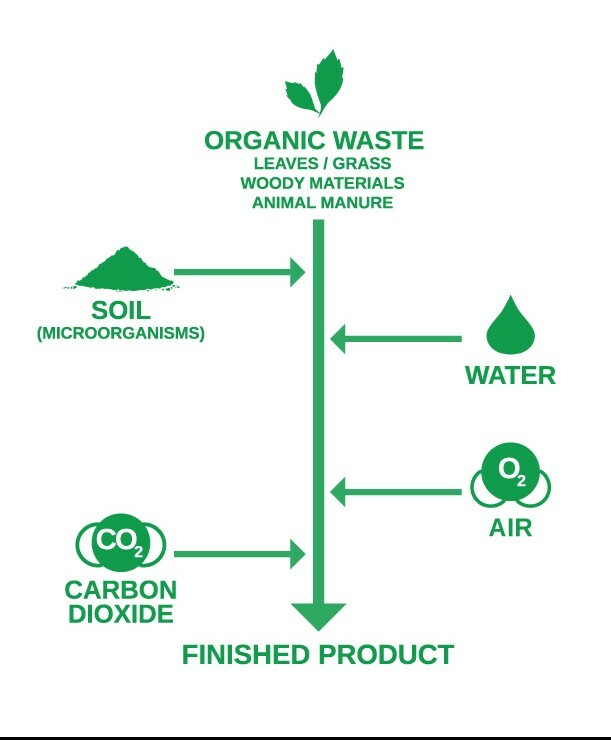 We use a unique compost recipe, certifed by EcoCert Canada, that’s rich in nutrients to bring together all the elements required to support your crops. Combined with our high production quality standards, you will have a great fertilizer, soil conditioner, and a natural pesticide. Using compost just makes sense. It’s so versatile and provides your soils with the macro & micro-nutrients it needs. Our in-house compost is certified by Ecocert Canada for use in organic production. CSI and ProCert have also authorized its use. Increases organic matter in the soil – better overall nutrient composition for stronger results. Inorganic fertilizer substitution – compost contains slow release crop-available nutrients, including nitrogen, phosphate, potash, magnesium and sulphur. Inhibiting pests and diseases – the organic action of compost can help to inhibit pests and diseases within the soil. Fuel savings and traffic tolerance – compost improves soil structure, making it easier to work while using less fuel. Improving soil structure will make it more resistant to compaction from traffic and will extend the conditions in which it can be worked. Learn more about our compost. Click here. We have developed unique and innovative blends so you have the exact organic matter, NPK level, Calcium, Magnesium, and micronutrients to meet you crop needs. We offer two types of blend. Dry-Mix We have various granular dry product blends that typically include Acti-Sol (palletized poultry manure) mixed with other ingredients to balance your soil nutrient levels for maximum yield. Compost Base Mix + Amendments Using our in-house compost for its high source of organic matter and macro and micro nutrients is an economical way to start up your blend base to which you can add dry or raw ingredients.